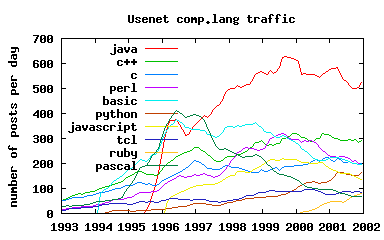 The plots below do not show the real use of a programming language. 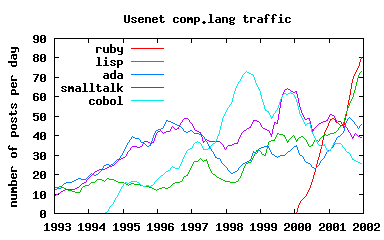 The plots below do not show what is the best language to use. 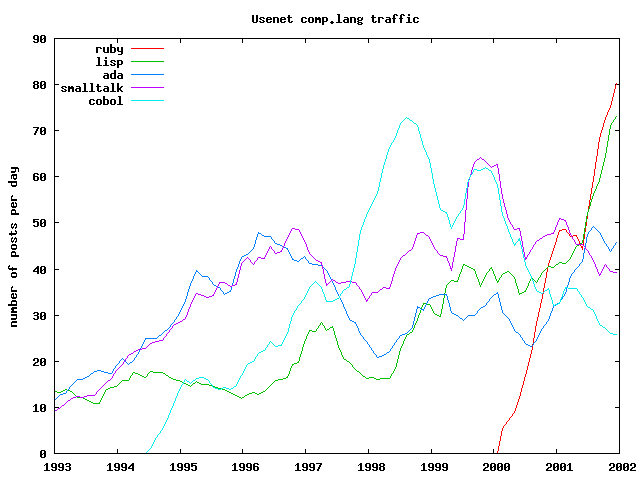 The data used is very rough and must be taken with many grains of salt! 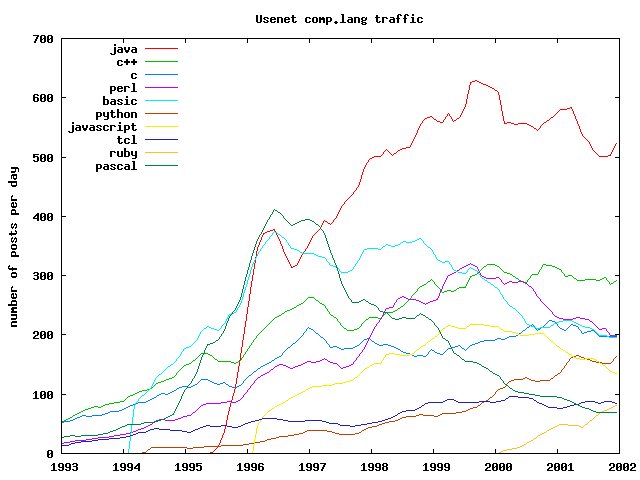 Java generates a lot of posts. 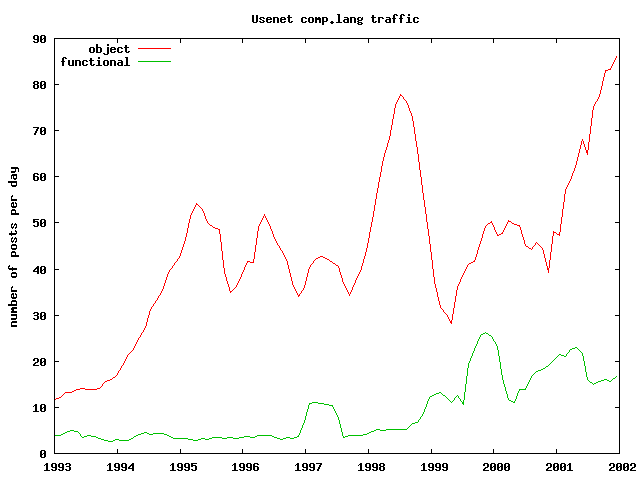 This script asks Google Groups for the number of posts for each 5 days quanta. 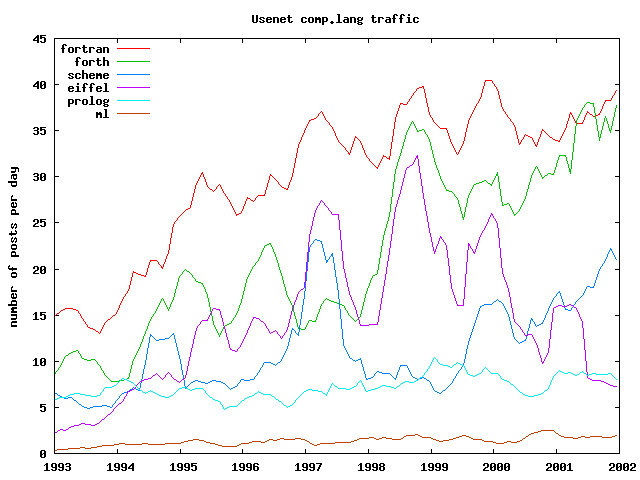 I tried with a bigger quanta (2 months) but when there is too many posts, Google returns a big number corresponding to the large number of posts spanning many months. The script has a "sleep 1" so that Google is not bothered too much by this attack. The script is given to show exactly how the figures were gathered, not to have people using it. Please think before using it! NB: the script searches for the string "sur un total d'environ" which is the french sentence that is interesting. Change the sentence to suit your own language. 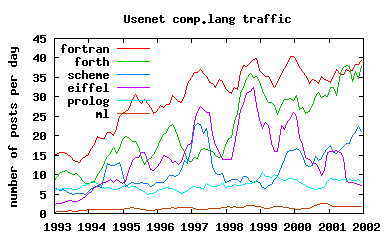 This script computes the mobile mean of the number of posts on a 6 months duration. 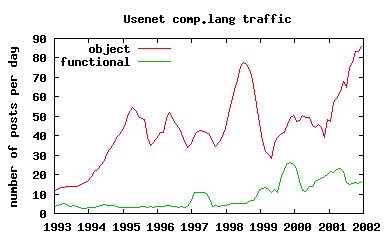 It creates a data file for gnuplot, together with a script for gnuplot.